Marley the Dog «Inventio! Inventio! 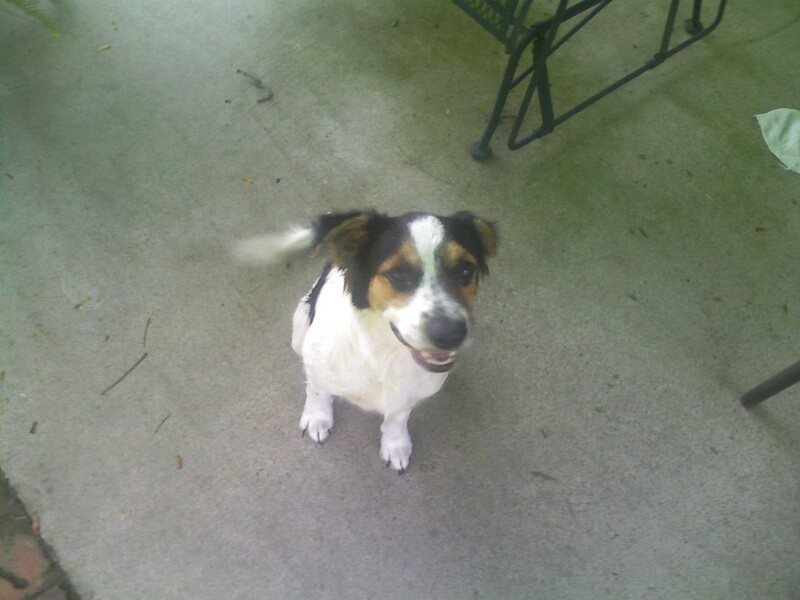 Ten years ago today, Marley the Dog moved into our back yard. His story composed those years ago is worth sharing on this, his tenth “rebirth” day. The copy below was originally posted on July 6, 2008. I first saw Marley the dog one late afternoon last week following Ann as Ann did her daily jog in the neighorhood. Ann commented later on this “cute little dog” that had followed her the whole time she ran. I didn’t encourage the conversation any farther, because the last time Ann got attached to such a stray, the mutt became Sadie the Dog, who’s lived in our back yard now for three years.